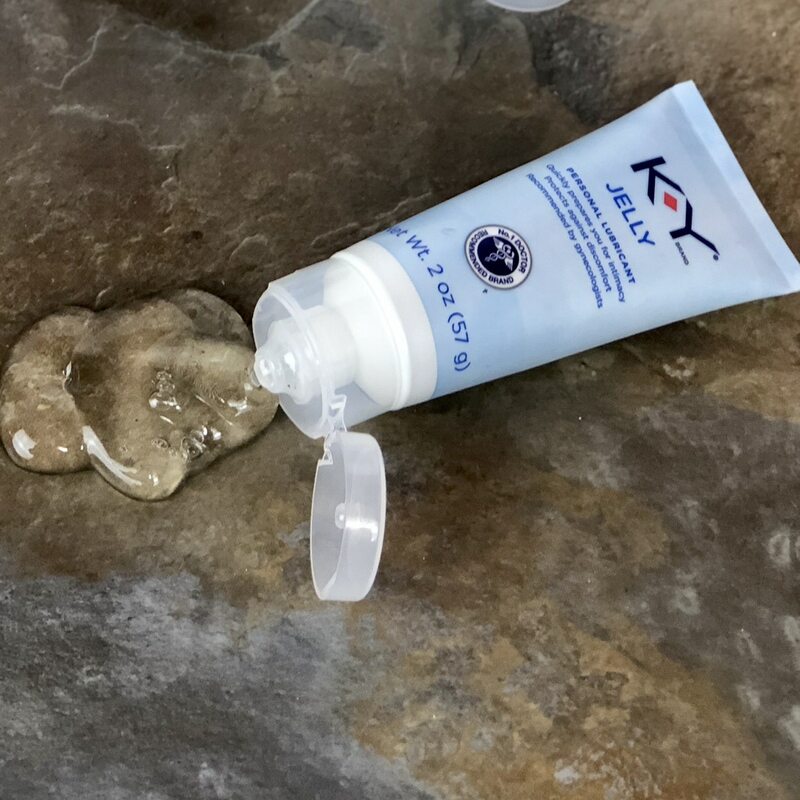 A personal lubricant can be used in so many areas of your life, besides your personal life. I am the type of person who lives for a good hack, and lube has quite a few that you might learn to appreciate. If you have a bottle of lube lying around, read through this list and find ways to use it up. Or if you don’t have any on hand, you might consider purchasing a bottle the next time you head to the store. 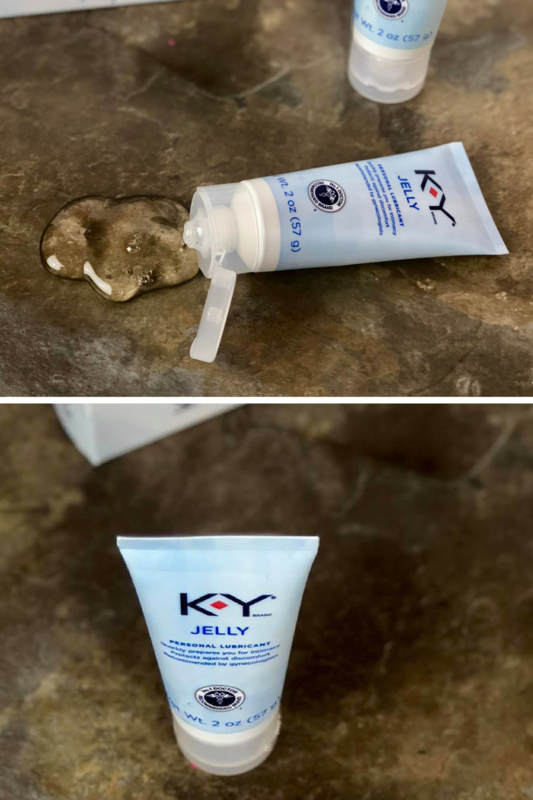 Let me break down some tips and tricks on ways to use personal lubricant in your home. Personal lubricant is great for shining up shoes when you are in a pinch. Grab a soft cloth and a dab of lube and you will have shining shoes in no time. You can also use this to shine your belts and even leather purses if you own any. Just massage well so it doesn’t offer that greasy look and feel after. If you have curly hair you know it can get knotted up very easily. Apply a small amount of lubricant to your hands, rub them together and then rub it through your hair. This will help loosen knots and make it easier to brush or fix your hair like you normally would. When you change out the nozzles on your washer and dryer you can add a little lube to the seals. This will help create a better seal and prevent any leaks. Whether your door is sticking when you open and close it or making a squeaking noise, the lubricant can help. Apply lubricant with your finger on the hinges and then open and close the door a few times to work it in. This should help in making doors open and close easier or silence the noise. If you are in a bind and need to add a little shine to your lips, your lube can do just that. Just add a tiny dab and massage. It will also help keep your lips from feeling chapped. This also works great if you have lipstick on but want added shine and ran out of your favorite gloss. Have a stuck on price tag? Apply lubricant to tag and let it sit for 5 minutes. Then slowly work your way to removing any residue from the price tag sticker. If you need a nice close shave, reach for the personal lubricant. It will help give you a nice smooth shave on your legs or even your face and protect you from razor burn. Wave or curls or just thick locks, we all have dealt with fly aways. A tiny amount can help lock down those frizzies that are messing up your perfect hairdo. Struggle with a stuck zipper on a jacket or pair of jeans? Apply a dab of lubricant and slowly work your way to moving the zipper up and down to loosen it. If you have kids you know that your child might come home with lice once or twice in a year. Silicone-based lubes can work great at brushing out dead lice. Apply at the base of the scalp and use a lice comb and work at brushing them out. Have a ring that is stuck on your finger? Don’t panic, add a dab of lubricant and work it around your ring and it should slide right off. I find this works better than soap. If you wear pantyhose you can apply lube to help get rid of static clean that is known to happen when wearing pantyhose. It is also great for soothing any chafing you may have. Take lube and put it in a freezer bag and then toss in the freezer. It will freeze to a soft texture and you can use it like an ice pack for little ouchies that happen over time. If you suffer from dry skin, the personal lubricant can work as a way to moisturize your skin. Just apply like you would lotion after a bath or shower. It helps create a barrier to skin and keeps it from drying out. If you are working with a shovel digging in the garden or yard, add a little lubricant to the front and back of your shovel. This will help it to go in and out of the ground easier and keep soft dirt or mud from sticking to the shovel blade. Do you have any creative ways to use personal lubricant around your home? Thanks.. Lots of great uses.. Love the zipper one and the hair detangler ones. My hair is so frizzy and tangles up ALL the time. thanks again for sharing with us! Now that was definitely inventive and different. I had no clue you could use this product in so many different ways. I am going to try it for the chafing! Lawd anything to stop the pain lol! You are absolutely right. I had no idea I could do any of those things with lube. Oh wow. I’m not sure I’d ever use anything like this for my lips, but interesting info nonetheless. Great read. Oh my gosh I would’ve never thought of doing any of these things with a personal lubricant! I am totally intrigued and trying this stuff. Interesting! I’ve heard about the lice thing before, but never as a detangler. Who knew it was as useful? Maybe I should stock up the next time it goes on sale! Oh wow. Who knew there was so many uses for lubricant. I will have to keep this in mind. What an interesting read. I never knew you could do all that with personal lubricant. Freezing it to use as an ice pack is a great idea. Oh wow! I never thought personal lubricant has a lot of uses! I would definitely try these tips! These are some super clever uses! I need to try the zipper and ring ones! These are really great tips. I have used it for a stuck zipper before and it worked like a charm. I never thought of using lubricant for any of these reasons. This is a great post! Never thought to myself for using this for all the things you’ve listed. Great info! Holy cow! I had no idea you could do so much! I’m definitely going to try this as a detangler first and foremost. When I do a lot of walking on the treadmill, I get chafed. Maybe I will give this a try! WHAT?! I never knew you could do all these things with a personal lubricant! This is insane and I am totally going to use some for detangling! In a million years, I wouldn’t have thought of any of this. I always considered it a one trick pony. Interesting! It is wonderful to kept bows in babies heads, just a little dab on the back of the bow will hold it! You have to wait until it dries a bit to keep it in place, a little water will remove it. My daughters are now 29 and 22 and I used it all the time because the Velcro would never hold their baby fine hair.